Of course we all picture a festive green Christmas tree when we think of a traditional Christmas scene and there is nothing wrong with this! But one thing we have found during our time designing beautiful e Christmas cards for business is that whilst this appeals to those who love the classic holiday season, who is to say that Christmas has to mean green? 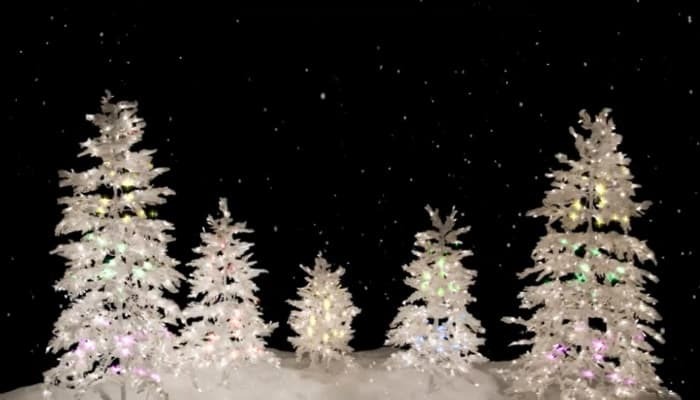 By sending out our Christmas Ice Trees business holiday ecards you can manage to bring about a feeling of festive nostalgia without the need for the standard green theme. Making for an interesting and recognisable version of e cards. We also think that the silver crystal touches mean that this is an electronic Christmas greeting card with a real sense of luxury and style. Perhaps ideal for those businesses that have a heavy leaning towards appearance such as boutiques and fashion designers. But that’s not say that any business that wants to make a great impression can’t choose these e cards over the others in our packed range. With customisable text options allowing you to tailor your message as well as the facility to add your own corporate logo and branding into the e cards this is the ideal business greeting card, no matter what your industry!